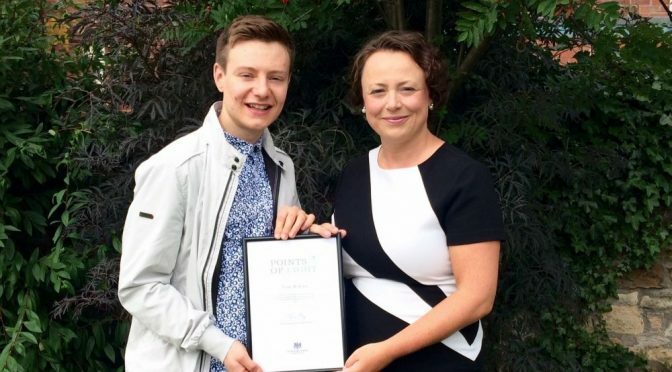 The Prime Minister has today (7th August) recognised Tom Rebair, aged 23 from Newcastle, for raising awareness of mental health, with a Points of Light award formally presented to him by his local MP, Catherine McKinnell. Tom is a mental health campaigner who bravely shares his own story to help the charities The Prince’s Trust and Young Minds reach thousands of young people in need of support. 23-year old Tom was diagnosed with obsessive-compulsive disorder and anorexia at 14. As a Young Ambassador for The Prince’s Trust, Tom spreads the word about The Trust’s work and helps to break down the stigma surrounding eating disorders, particularly in young men. He regularly speaks to audiences of more than 200 Trust supporters and has helped raise more than £75,000. Tom’s volunteering for the mental health charity, Young Minds, focuses on supporting young people spot the signs of mental health problems and to talk about it. Tom is the latest recipient of the Points of Light award, which recognises outstanding volunteers who are making a change in their community and inspiring others. Each day, someone, somewhere in the country is selected to receive the award to celebrate their remarkable achievements. ‘I am so pleased that Tom’s important work with leading charities like The Prince’s Trust and Young Minds is being recognised by the Prime Minister in this way. ‘He should feel extremely proud of what he has achieved, and I have no doubt he still has so much more to give. ‘Sitting in a hospital bed a couple of years ago, I never once thought I would be on this journey where I am today. I felt completely alone and trapped in a cycle of anorexic thoughts and behaviours, which left me in a specialist unit for over six months. ‘But with huge support I received from The Prince’s Trust, I have achieved things I didn’t think I would and I’m here to tell the tale. ‘Ever since, I’ve felt passionate about giving back to the community in whatever way I can. From talking opening about being a male suffering with an eating disorder, to helping open the conversation up about mental health – it is my way of saying thank you to all that have supported me along the way. To be given the opportunity to help other people and make something positive out a negative situation is a privilege, if I help just one person know that they are not alone that is enough. Tom is the 972nd winner of the Points of Light award, which has been developed in partnership with the hugely successful Points of Light programme in the USA. Over 6,000 Points of Light have been awarded in the USA, and former Presidents have publicly supported the partnership with Points of Light UK. 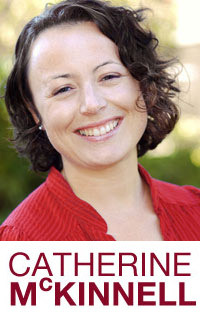 There is a similar cross-party approach to the UK programme and MPs from different parties often present their constituents with their Points of Light awards.